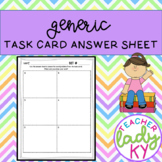 Great Depression - Task Cards (32 Great Depression Task Cards with Answer Sheet) - This 15 page Great Depression resource includes 32 task cards related to the major people, events and themes of the Great Depression. It is an excellent resource when reviewing or learning about the Great Depression. 40 Industrial Revolution Task Cards with Answer Sheet! Great for Review! GENETICS: DNA, RNA, and Protein Synthesis Task Cards! Answer sheet and key! 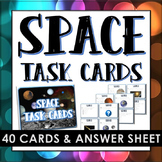 Task cards are a fun and interactive way to review, reinforce, or enrichment your lessons! Your students will get plenty of practice with these 34 DNA, RNA, Protein Synthesis, mutations, and genetic disorders tasks. 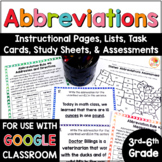 They include review of mutation problems, vocabulary, and diagram drawing practice. 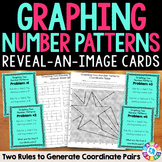 Also included in: GENETICS: COMPLETE Task Card Bundle! 113 Differentiated Cards and Keys! 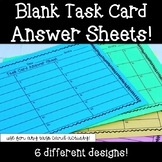 Set of 24 Multi-Step Word Problem Task Cards with Answer Key: Great Test Prep! 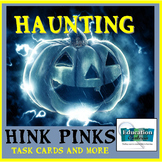 Verb Task cards Fill In the blank with the correct verb 20 Task cards Each card contains a sentence. Students must choose the correct answer to fill in the blank. Students will record their answer on the recording sheet.